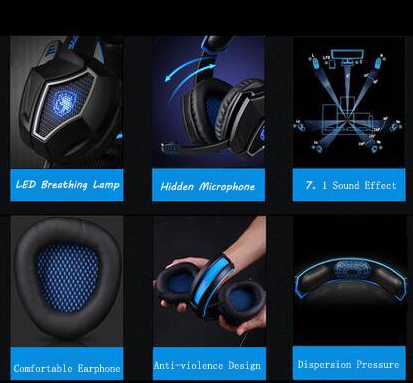 Gaming headset boasts "Anti Violence Design"
While perusing for a new headset for the old rig (I have thrown away my first AND last pair of Turtle Beach headphones!) I ran across a set from SADES. I don't know much about them, to be honest- they're sort of an off-brand in appearance and marketing, though I've got a pair for the new rig and they work great. However, while looking over a set that I kinda liked, I noticed it had some unusual features highlighted. Comic Sans aside, I am genuinely curious what this is trying to convey. Have they updated the plug? 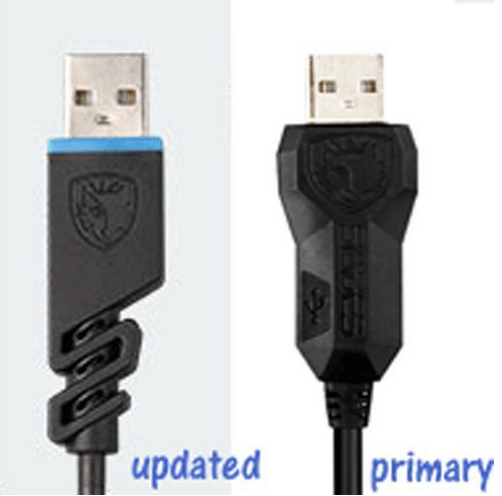 Is this a unit that has the "Primary" plug instead? Does it have both? Does it need both? So many questions, yet so few answers. But "Anti-Violence Design"... I've got nothing. Same for Bing and Google- no idea what they were going for here. I mean, it looks like they're designed to maybe fold up or something, but... anti-violence design? I don't get it. If you get it, help me out here, this is gonna bug me like crazy! I keep seeing Sades headphones on Amazon, so it is nice to hear they are good. Quote from spiderfan I keep seeing Sades headphones on Amazon, so it is nice to hear they are good. If you get some, just make sure you get the "Anti-Violence Design" ones; otherwise who knows what you might get!